I applied minimalist approach for the poster design, in which I combined simple graphics and texts with the use of positive and negative forms. 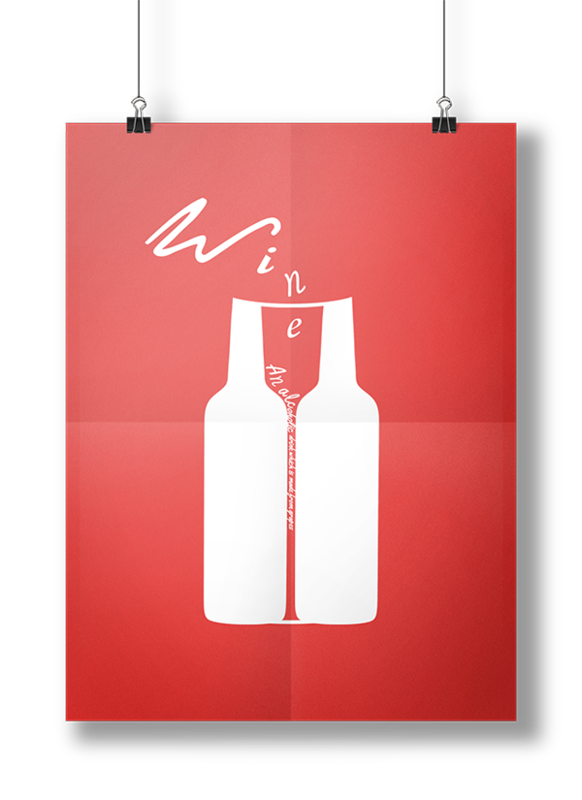 The poster shows a clever combination of the graphics with the poster through the usage of positive and negative forms by putting the two bottles in a row and having the negative form in the middle as a wine glass, and designing the font as if the red wine is pouring into the glass. By combining the shape of Earth and a chimney, the poster not only depicts a polluted earth and a smoking chimney, but integrates them cleverly into the shape of a bomb as well, in order to call on people to protect the Earth and to warn that Earth pollution is a very serious issue.